The ultimate sleekness and magnetism of this new template would resonate with the tastes of the most demanding auditory. The theme brings you four impressive homepages that feature four most appealing, present-day layouts based on mosaic grids. What’s more, this Retina-ready template contains unlimited color presets, handy custom widgets, advanced typography options, and 700+ Google fonts. 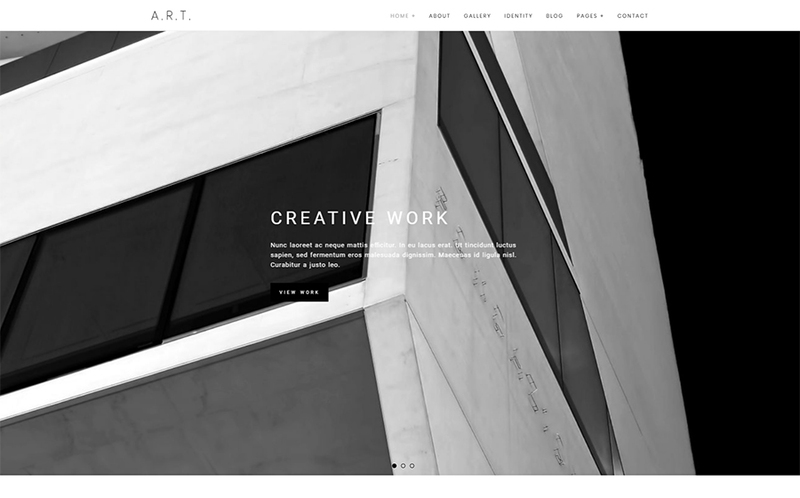 Like most Photography WordPress Themes Art contains a functional portfolio gallery for presenting pieces. Mechanicum theme employs the classy red, white and dark grey color palette as its basis and jazzes it up with trendy gradients. Its customization becomes way simpler thanks to Elementor drag-n-drop editor, enhanced by the collection of more than 20 widgets. With the purpose of incorporating the latest functionality to your site in mind, designers pre-built Mechanicum with an adjustable Mega Menu, empowered its visual awe with JetElements pack and designed a number of unique professional layouts. 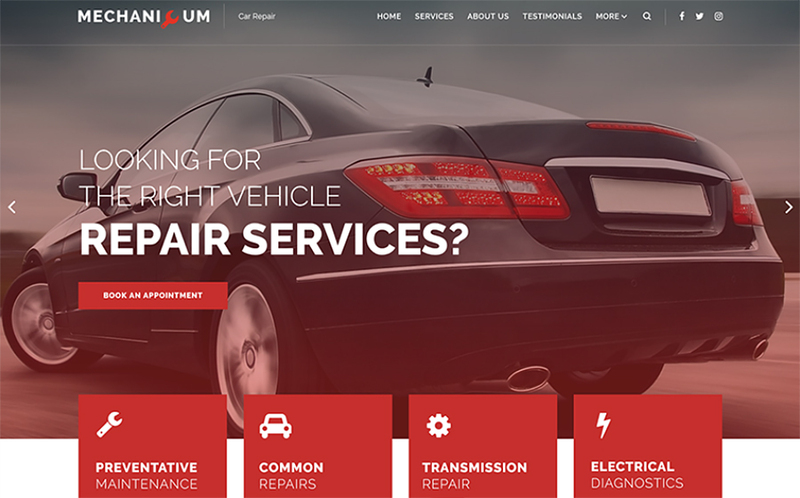 All this makes Mechanicum one of the most advanced and prolific car repair templates out there. 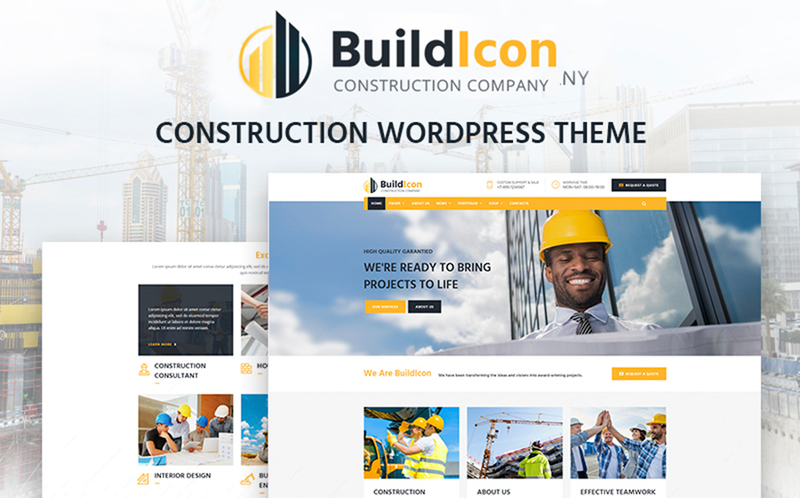 This iconic template lets you build a compelling web presence for a construction company. The theme is equipped with all the needed trust signals to persuade new clients to go for your company rather than for your competitors. In this vein, the theme brings you the impressive ‘Testimonials’ and ‘Our Team’ sections, pinpoints your physical location on Google map, lets people connect with your profiles on social media, etc. What’s more, all the construction-related imagery that you see on Live Demo also becomes yours once you purchase this exemplary template. 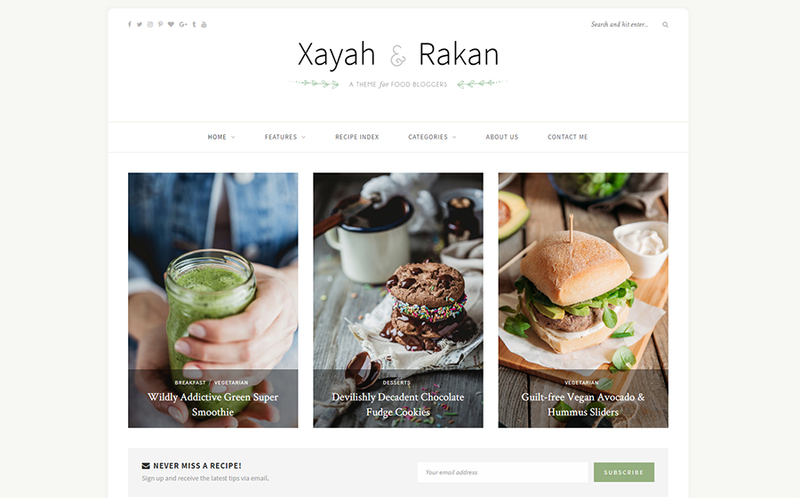 Charming and minimal, the YummBlog template will make your food blog exceptional and engaging. The template comes with the library of built-in layouts, including 8 ready-made homepage layouts for choosing the right style for your blog’s main page. Moreover, YummBlog theme comes with 10 pre-defined color schemes and allows you to create your own color scheme without touching any code. The theme is responsive and cross-browser compatible, providing for perfect display on different screens and in different browsers. Blogging will be a pleasure and a true creativity outlet if you go for Love Life theme. The clear and trendy design of this theme is totally responsive, which means that your blog will be a pleasant read even on mobile. What’s more, social options make sharing your posts on Facebook, Twitter and other platforms as easy as cake. Additionally, you can use this template to power a designer portfolio as all the tools needed for this come handy. 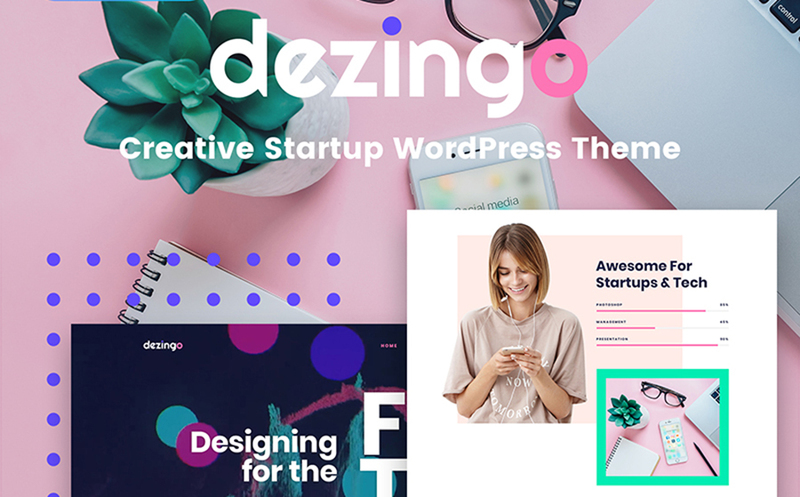 If you’re after eye-candy grid-breaking layouts and artsy typography, Dezigno theme would make an ideal creative web presence for you. The neat, material-design inspired homepage of this theme becomes quite engaging thanks to intricate microinteractions that users see when scrolling it down. Dezigno theme is SEO-optimized to let you fit Google guidelines for websites and improve your position in search engine search results. 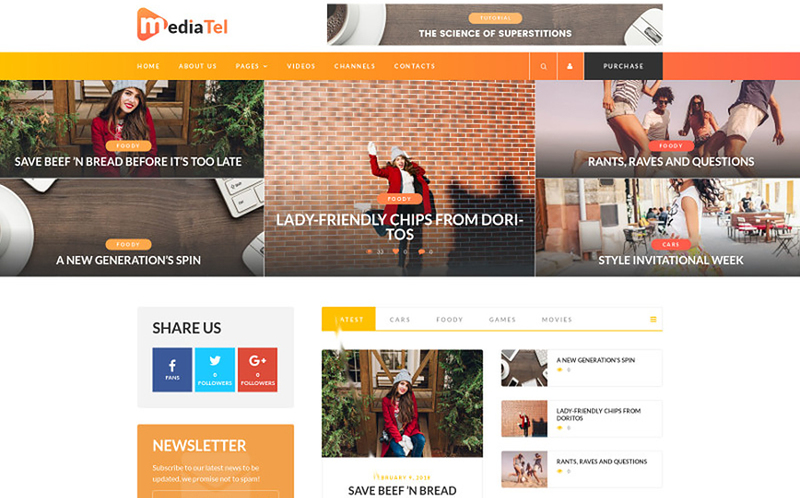 MediaTel is the theme that lets you built an impressive, media-rich website. It’s powered by the reliable Unyson framework and brings you a custom visual page builder. The template is ready to harbor intense video integration, still remaining responsive and fast-performing. What’s more, it brings you a number of custom widgets and advanced customizer options. Do you represent an architect business, building company, chemical factory or machinery business? With the multipurpose Industry theme, your website will hit home with a lot of site guests. 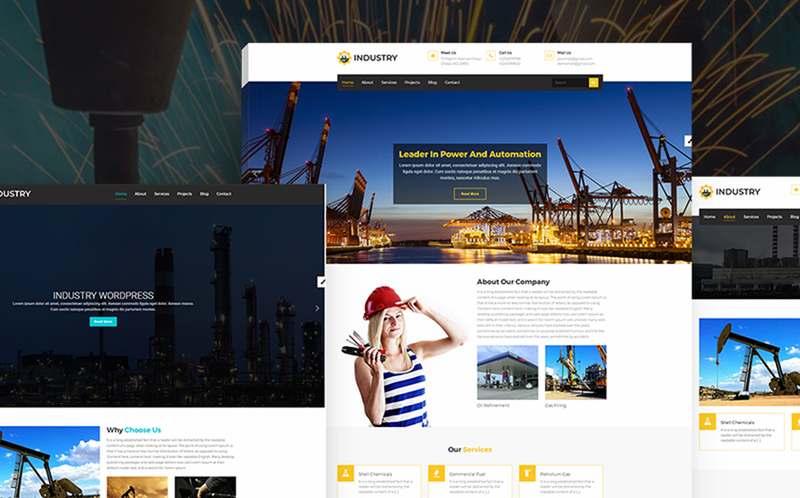 Industry theme provides for showcasing your popular services and some details about your company, introducing your craftsmen and team members, presenting your accomplished projects, etc. Moreover, all your website sections will look stunning thanks to added Parallax and Smooth Transition effects. Amenity is an impressive one-pager for businesses of any kind. Its ultra-modern UI is underpinned by Parallax backgrounds, trendsetting color palettes, asymmetrical dividers, mosaic image grids, animated counters and more. This theme runs on polished-to-perfection Redux Framework and provides for streamlined customization with Elementor builder. 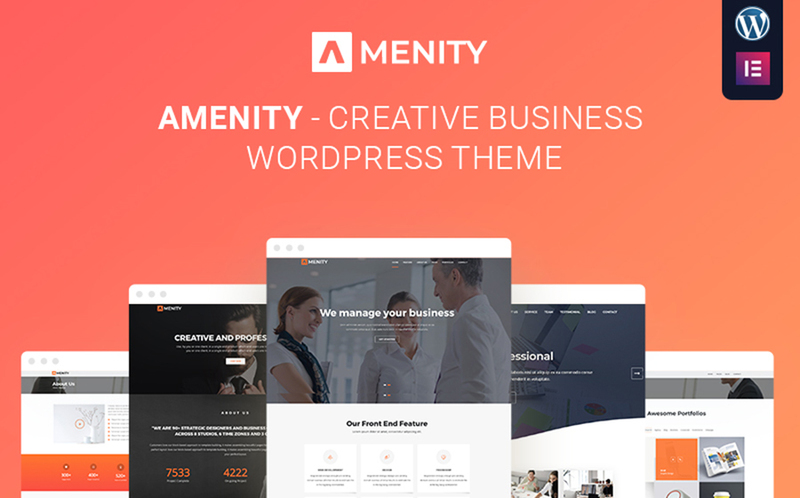 What’s more, Amenity theme offers you a number of ready-made header and footer styles, sidebar variations, unlimited Google Fonts, custom handpicked color schemes, etc. 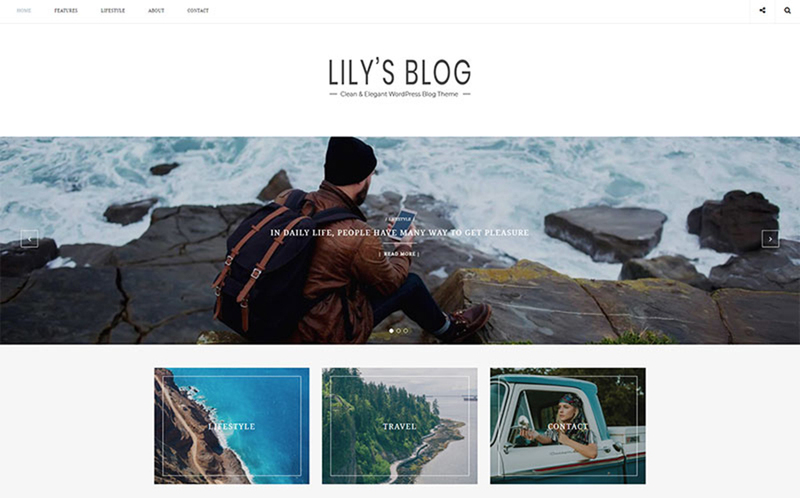 Lily is one of the best new themes for personal blogging. It delivers you improved performance, cleaner design, faster loading and sleeker UX. Lily lets you choose from 10 different layouts for your homepage. Moreover, this blog theme brings you a number of advanced customization options that let you fine-tune the appearance of tags and categories, as well as search results and archives on your website. Are you searching for a company website design that will truly inspire your clients? Lanterno is just what you need for your case. This theme looks light as a feather thanks to blue-and-white color scheme and sophisticated font choice. The powerful Elementor page builder allows you to set up the main website content without any coding skills. Lanterno also brings you JetElements add-on that adds a number of custom site blocks to your layouts. Webion template stands on the verge of web design innovation and brings you a sleek UI that resonates with 2018 web design trends. Thanks to Elementor and JetElements, creating intricate layouts and adding diverse content blocks is a non-issue even if you’re completely unfamiliar with coding. 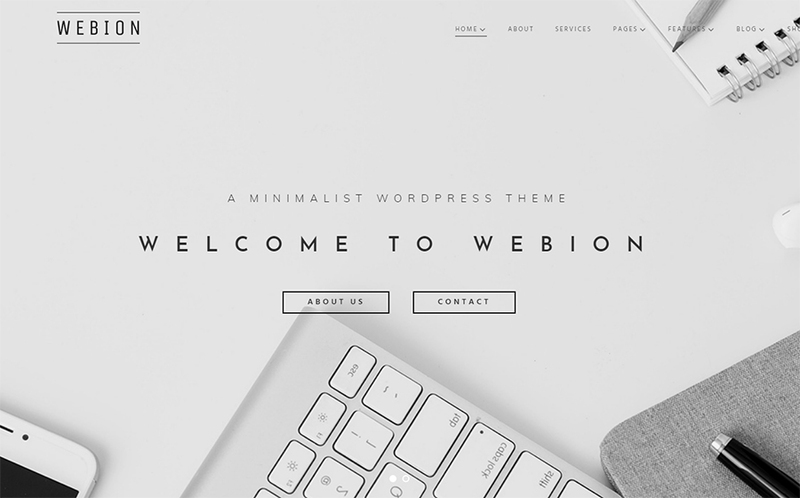 Moreover, Webion template is loaded with Cherry plugins, different Blog and footer layouts, custom widgets and more. Also, it lets you power an Ecwid-based e-store section in case you need e-commerce functionality. 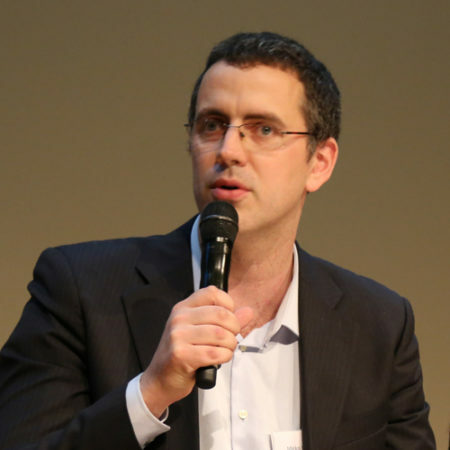 DeepMind would constitute the basis of a perfect present-day psychology clinic’s web presence. Template interface emphasizes informativeness and lets you tell everything your clients need to know about the clinic and services you provide. 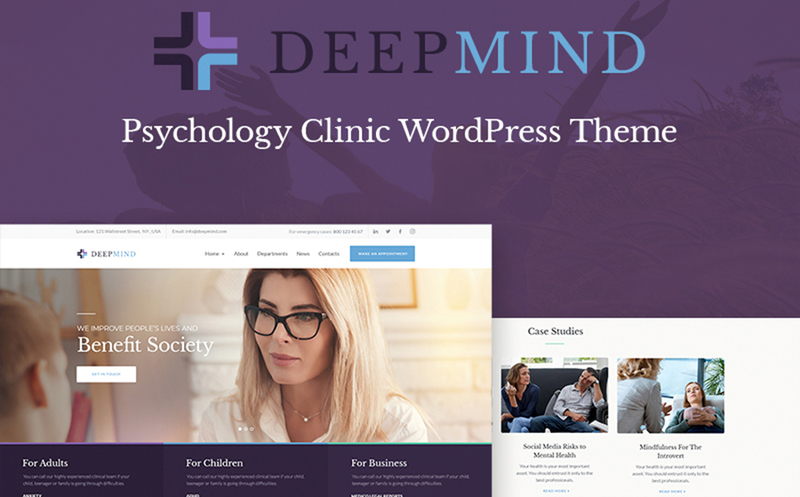 DeepMind theme brings you an exhaustive set of astonishing and elegant ready-made pages for your easy site customization. Customize the theme on the fly with Elementor and WordPress Live Customizer and launch your new web presence in record time! 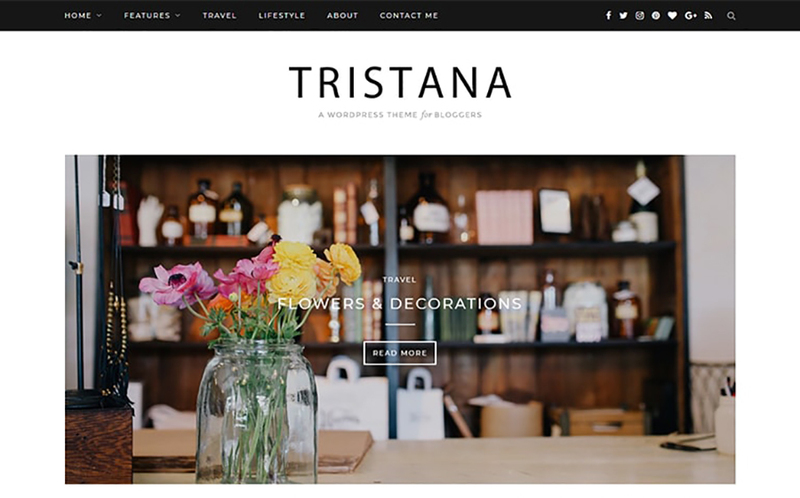 Tristana is a sleek and elegant WordPress blogging theme that’s impossible not to fall in love with. It features grid-based galleries, asymmetrical layouts, trendsetting pixel-perfect fonts and prolific social options. For example, social icons are placed above the fold both in PC and mobile viewports and allow you to grow the audience of devoted followers. Moreover, the Instagram-powered gallery, situated on the home page, projects best flicks from your lively profile in this social network and invites to follow you there. 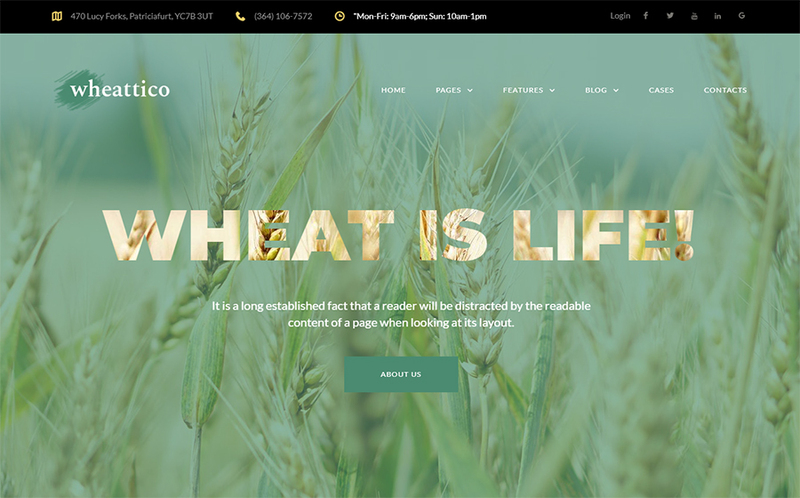 If you work in the agriculture niche, you can power an aesthetically pleasing, nature-inspired website with Wheattico template. 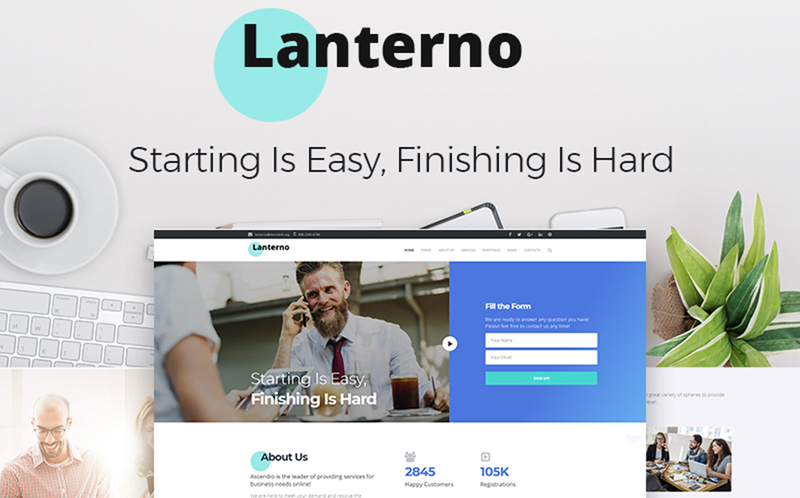 This theme opens up with an immersive Parallax-enhanced hero image that instantly catches visitors’ attention and streamlines them to learn more about your company. Thanks to Elementor visual editor, you can get astonishing customization results effortlessly. 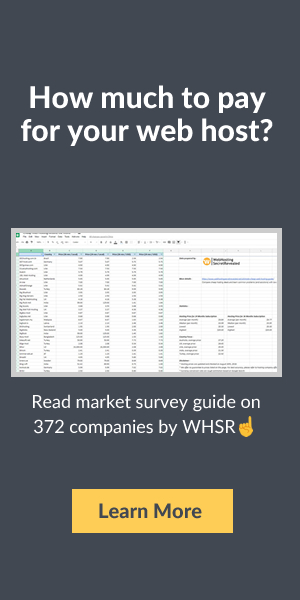 No doubt, Wheattico template is SEO-optimized, responsive and cross-browser compatible, so that there won’t be a single obstacle on your way to online prominence! 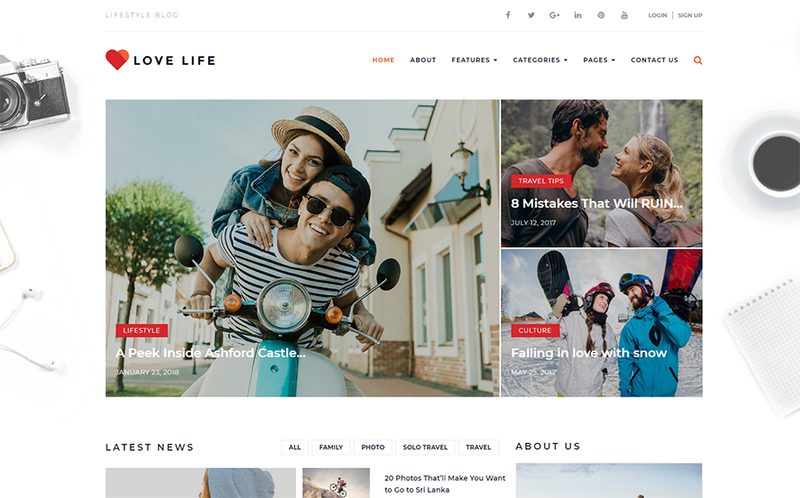 You’ve just reviewed the 15 newest and most inspiring WordPress templates of this spring. Hurry up to get hold of any of them on April 9 – 11 with an impressive 35% discount! What is the theme that appeals to you most? Let us know about your preferences in the Comments section below.